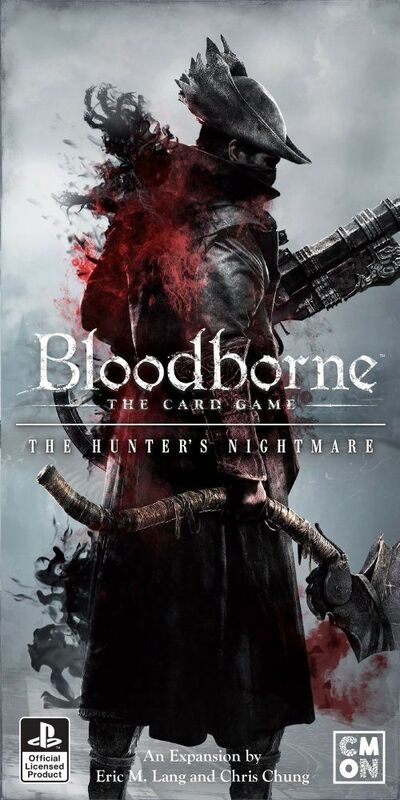 Return to the Chalice Dungeons in Bloodborne: The Card Game – The Hunter’s Nightmare. In this expansion, players must survive against new, deadly bosses and monsters; however, new weapons will help hunters along the way. The Hunter’s Nightmare also introduces two new gameplay features: Death Tokens and Runes, both of which will have lasting effects throughout your games.